Truly extraordinary, you are sure to adore the show-stopping sparkle of this unbelievable A. Jaffe 18k White Gold Double Halo Blue Sapphire and Diamond Necklace! 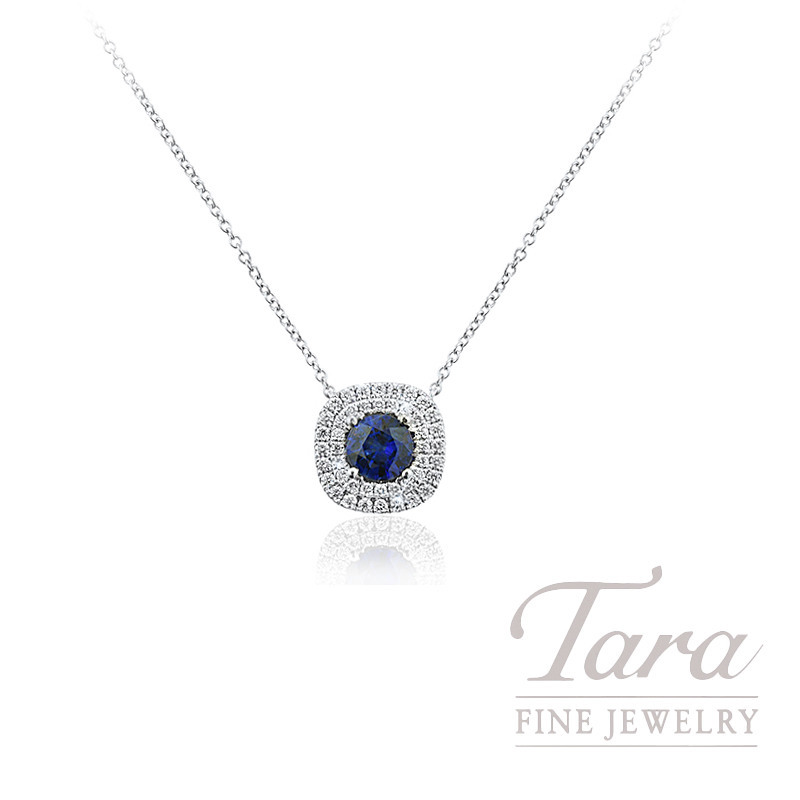 Tara Fine Jewelry Company carries some of the most radiant gemstone jewelry in Atlanta. With a wonderful selection of designer jewelry and a stunning selection of gemstones and diamonds, nothing can top the lavish jewelry selection here at Tara! This remarkable A. Jaffe necklace is crafted from the most radiant 18k White Gold and features a dainty 18" chain that flaunts the wondrous Double Halo Pendant. Absolutely breath-taking, the pendant showcases a remarkable double halo design adorned with 44 round brilliant Diamonds at .24TDW, all accenting the dramatic blue hue of a stunning .67CT Natural Blue Sapphire gemstone. You will forever admire the untamed sparkle of this remarkable A. Jaffe Blue Sapphire and Diamond Necklace! Stop by today to view our exclusive designer lines, including: Roberto Coin, Mikimoto, Simon G, A. Jaffe, Norman Covan, and many more! We know that you will agree that the personalized customer service and outstanding selection is worth the drive!